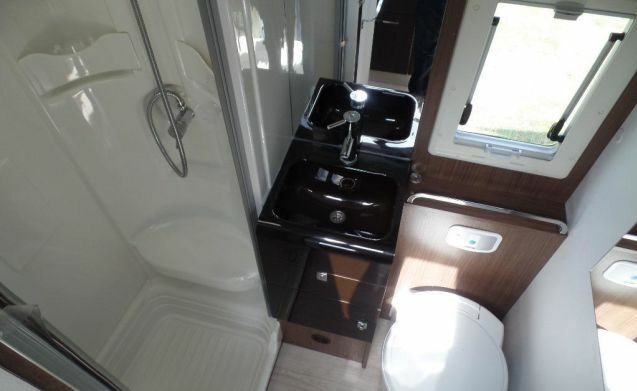 This luxury Roller camper with XXL garage with 2 doors where a scooter can be brought with a spacious bathroom with toilet and separate shower with screen. A strong 2.3 130 hp Multi jet diesel engine. Solar panel, air conditioning and a refrigerator that automatically switches from gas, diesel and electricity. 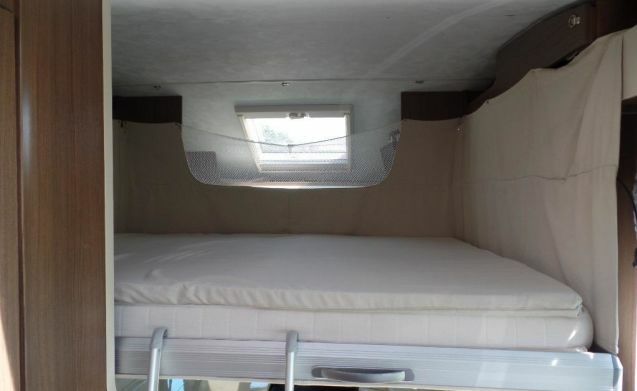 A beautiful luxury camper with beautiful rear bed adjustable in height, a convertible bed with dinette and pull-out bed adjustable at 2 heights. Front seats rotatable and height adjustable. 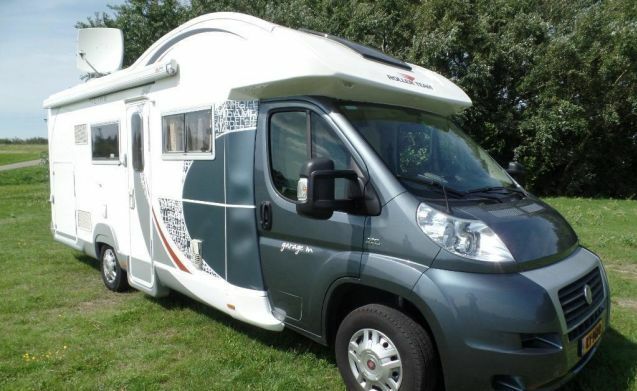 A nice camper to go on holiday. In the high season the rental period is from Saturday to Saturday. In the other seasons in consultation. If the camper is not returned clean from inside and outside, a fixed amount will be charged. Dogs are welcome, you pay € 50.00 extra. This amount is not charged by Goboony but you can pay us when you pick up the camper. On Sundays it is preferable not to submit or exchange.